Here’s a bird’s eye view into Little Lark, a company featuring adorable one-of-a-kind, eco-modern clothing for kids, and boasting environmentally conscious practices as well. At Inhabitots, we are birds of a feather who flock together with folks we believe are doing their part to create sustainable, compelling wares which both decorate and preserve our planet. Little Lark, based in Portland, Oregon, has us singing their praises for their beautifully designed, environmentally thoughtful kids clothing. Onesies are a staple item in every baby’s wardrobe, and you’d be hard-pressed to find a greener onesie than the onesies created by Little Lark. 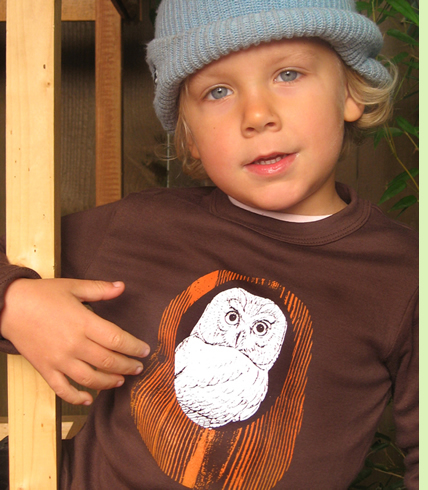 100% certified organic cotton, Fair Trade, sweatshop free, American made, dyed with non-toxic azo free dyes, and featuring nickel-free snaps, Little Lark goes far out on an eco-savvy limb to perch your child at the height of good, clean fashion sense. We can tell Little Lark is a mother owned and operated company, given the purity and forethought behind this ubiquitous clothing item which graces every baby’s body. Little Lark also offers shirts, pants and hats to stylishly suit your tot once she graduates from the onesie stage. 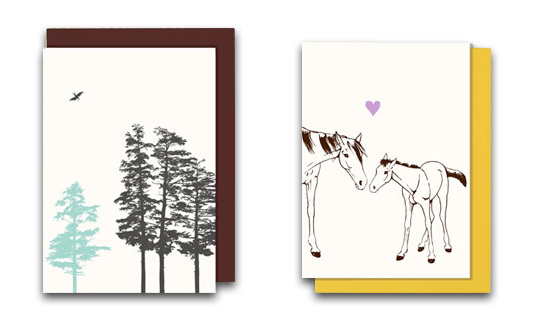 Each piece in the Little Lark line is individually silk-screened by hand, and the designs range from nature inspired hemlock trees, fiddleheads and artichokes to earth-saving prompts: “walk” and “ride,” to the Mommy/Baby Horse design which you can see we adore (we featured it three times in this post). 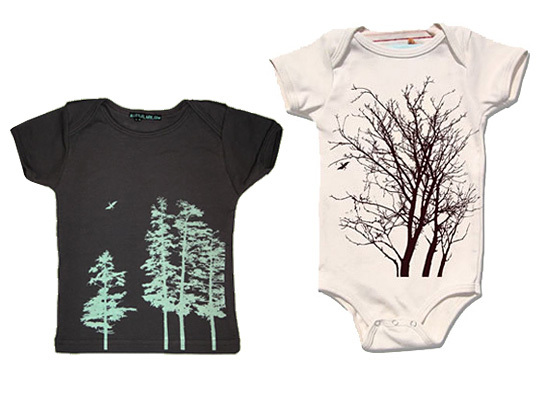 The illustrations are sleek and contemporary… enabling your little eco fashionista to turn heads when out on the town. The fun doesn’t end with clothing for tots. 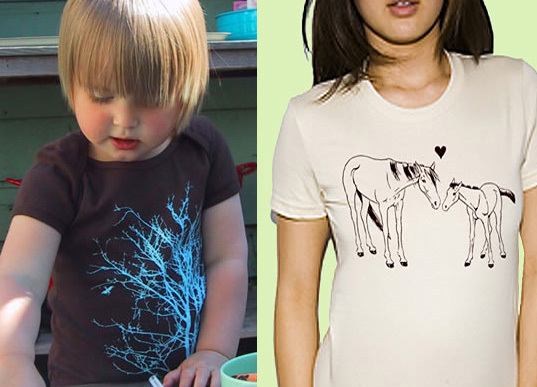 Little Lark also offers letterpressed cards made from recycled paper, and they give a shout out to moms and dads by offering equally fabulous tees in adult sizes. I am coveting this sweet bird on a branch tee for myself. Here's a bird's eye view into Little Lark, a company featuring adorable one-of-a-kind, eco-modern clothing for kids, and boasting environmentally conscious practices as well. At Inhabitots, we are birds of a feather who flock together with folks we believe are doing their part to create sustainable, compelling wares which both decorate and preserve our planet. Little Lark, based in Portland, Oregon, has us singing their praises for their beautifully designed, environmentally thoughtful kids clothing.